How Often Should You Service Your Mountain Bike? 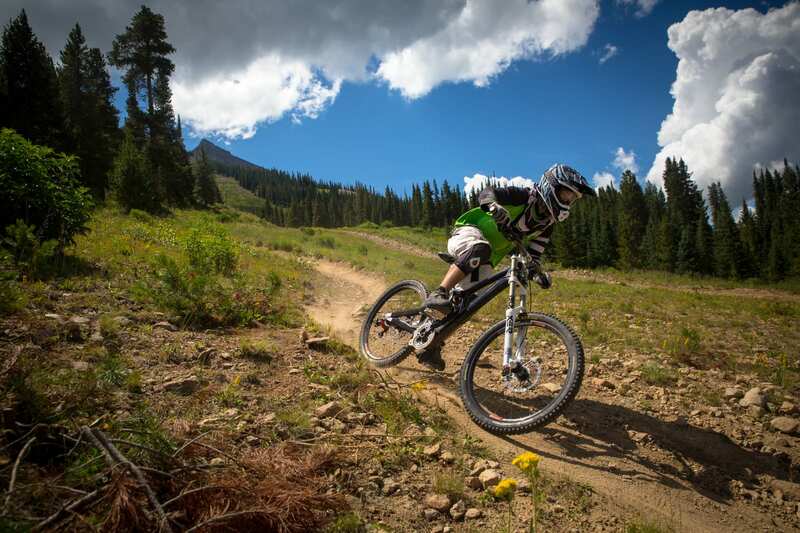 [Evo mountain bike service in Denver, CO.] Spring is here in Denver, and as the snow recedes and the temps rise it’s natural to start daydreaming about the ensuing mountain bike season. Afterall the abundance of trails in Colorado are literally world-class. Before you load up the car and hit the trailhead though, you should probably make sure that you’re bike’s in good working order. To help get you ride-ready, the expert bike mechanics at evo Denver’s bike shop have rounded up a quick-hit checklist for your ol’ pedal pony. Much like cars, mountain bikes tend to be hefty investments that benefit greatly from simple but routine maintenance measures akin to regularly changing your car’s oil. Our guess is that you’ll want to maximize your investment and keep your mountain bike running like the well-oiled machine it was when you bought it. If so, there are a few checks and quick bike tune ups that you ought to perform on a regular basis. How regular you might ask? Great question! Tire Pressure – Are your tires pumped up to an adequate level? Generally a quick squeeze with just your hands will tell you. This is a good time to also verify your tires’ sidewall integrity – making sure there are no abrasions or tears that could lead to a blowout. Thru-Axles / Quick Release Tension – Are your thru-axles and quick-releases tightened down? Are they too tight and preventing your wheel from spinning freely? Hub Integrity & Wheel Trueness – Is there any play in the wheel? Any wobble when you spin the wheel? Are the brake pads rubbing? Lube Chain – If you’re riding for more than 2-3 hours per session, you should lube your chain every ride. Be sure to wipe off any extra lube so that your chain isn’t dripping or getting gunked up by dust or sediment. Wipe down/rinse off excess dirt/mud – That excess mud that’s caked on to your bike’s component’s can absorb grease and lubricants and make them require more faster. Of course washing your bike can also do this, so we generally recommend wiping it off vs. hosing it down. If you do opt for a full-blown wash, however, make sure to re-lube/grease where necessary. Brake Pads – Look through the brake calipers, is there any pad life remaining? Pro tip: Slip a piece of white paper behind the caliper to help bring out contrast in the brake pads. Shock/Fork Air Pressure – Similar to your bike’s tires, air suspension forks and shocks will gradually lose pressure over time. Is your sag still correct? Is your fork responsive? Chain Wear/Slack – Believe it or not, chains stretch out over time and a stretched out chain will cause wear on your cassette and cog teeth — remove a link or replace if necessary. Bolt Tensions – Vibrations can loosen up hardware over time, it’s worth your while to make sure everything is still snug. Check Tubeless Tire Sealant Fluid – Tire sealant is a liquid that will gradually evaporate — hot and dry climates such as Denver’s can speed up that process. Check Tire Tread & Sidewall Integrity – Tires wear out naturally over time. Are yours still in good health? You’ll likely have a decent gauge on this already from checking your tire pressure, but it’s good to make a dedicated assessment. Clean Drivetrain – Use a dedicated bike cleaning solution (or mild dish soap) and scrub down all components; this includes the chain, cassette, derailleur pulleys, and chainrings. Be sure to re-lubricate everything afterwards. Fork Lowers – Replace the seals and apply some fresh fork oil to ensure longevity. Bleed Hydraulic Brakes – If you’re riding regularly and/or doing a lot of DH-style riding, you’ll want to err towards the 3-month mark on this. If your brake fluid is darker than normal and/or your brakes feel ‘spongy’ you’ll want to bleed and replace your fluid. Rear Shock – General air sleeve maintenance can easily be done yourself, but if your shock is making irregular sounds, clicking, clunking, or just not functioning correctly, you likely need to service the internal damper. Frame – Performing a full frame run-through is a good idea every year. Clean all the linkages, the headset, and bottom bracket. This is a great time to re-grease all mating surfaces and replace your bottom bracket bearings if necessary too. 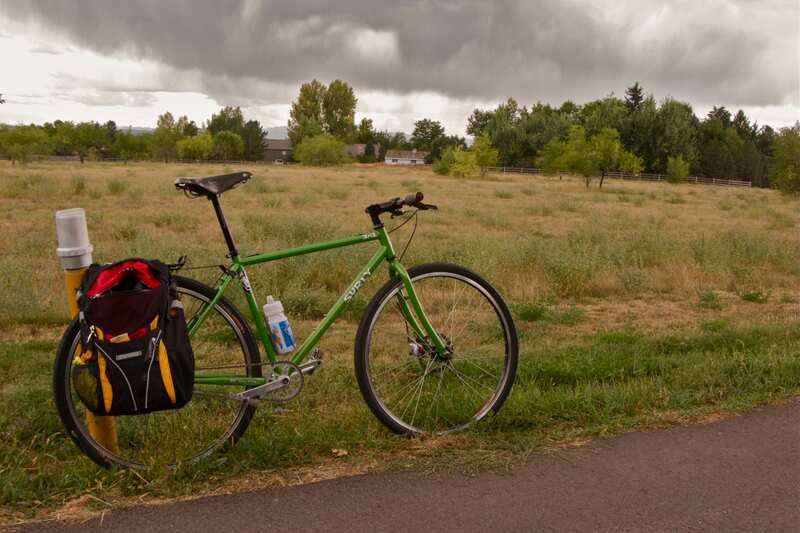 Use these preventative service measures as guidelines to keep you on the trail and out of your local Denver bike shop. 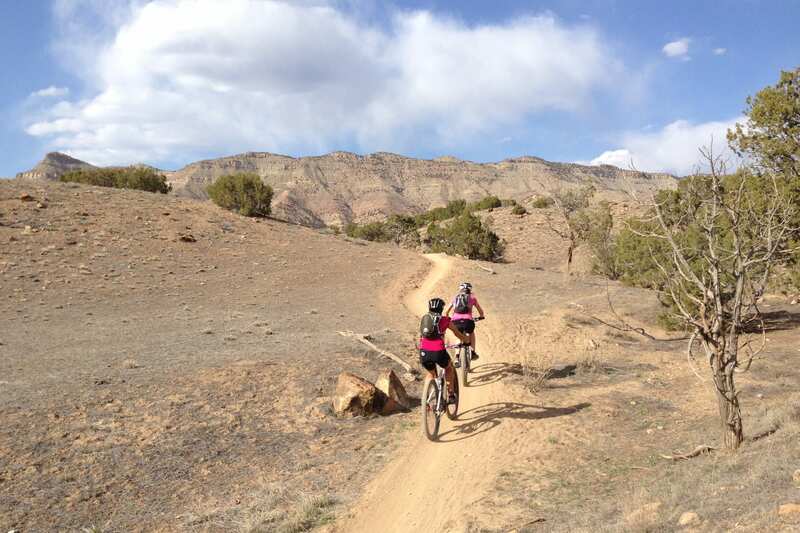 If you’re typical riding generally skews towards a more aggressive style and on more advanced trails, there’s a good chance that you’ll want to perform many of the aforementioned checks/services more often. It’s also important to note that — like a car — bike repairs and bike maintenance are two distinct categories. All of the items listed above fall into the latter. If you experience a crash, wear out a particular component, or your buddy recklessly loads your bike in the back of his pickup truck and something breaks, definitely don’t delay in fixing it! Even minor bicycle repairs left untended can lead to larger, more expensive repairs in the future. 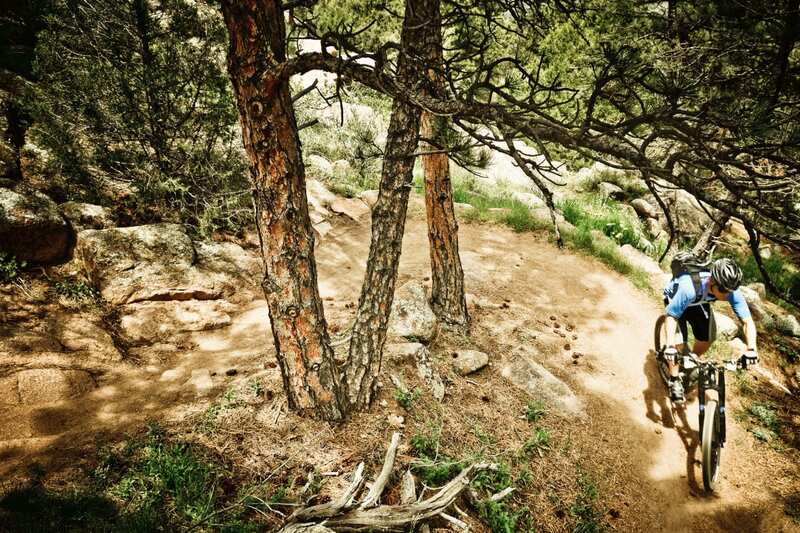 With your bike tuned-up and ready to ride, it’s time to hit the top trails in Colorado! evo's a bike, ski, snowboard, skate shop, plus a clothing retailer all under one roof in Denver, Colorado. In addition to retail, they provide bike repair, bike rentals, ski/snowboard waxes & tunes, and ski/snowboard rentals. Visit their store in the Capitol Hill neighborhood where knowledgeable staff will happily assist you with your outdoor gear and action sports needs.